Hello...... 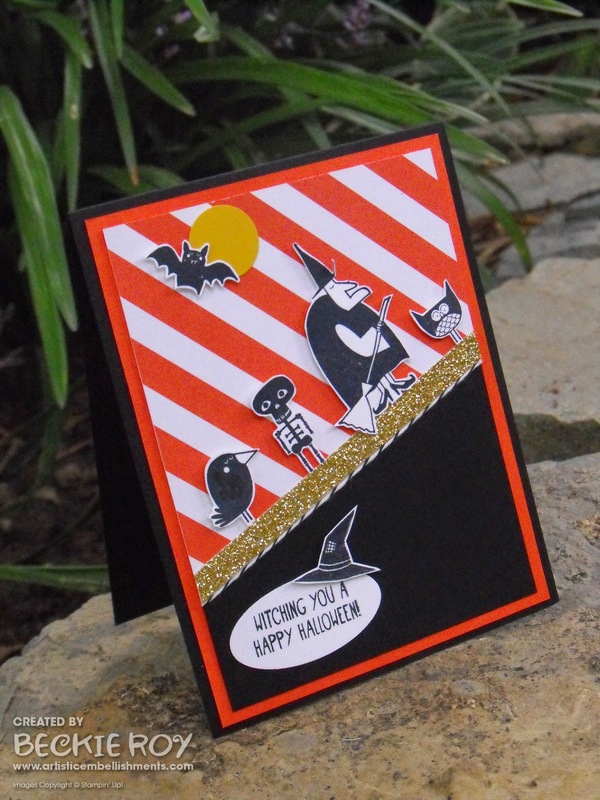 I have another Halloween card. It's no secret that I love Halloween, or the fall season in general! There's something about the crispness in the air that I love, plus I get to pull out all my skull scarves again (I have about 20!) Well, any hooooo... onto my card for today. I used a piece of Flower Pot designer series paper for my background - I like the boldness of the striped pattern! The two sets that I used are my just so adorable, I had to use them again! I used the Freaky Friends and Tee-hee-hee! stamp sets for my card (I love them both!). I started by stamping with the Freaky Friends. 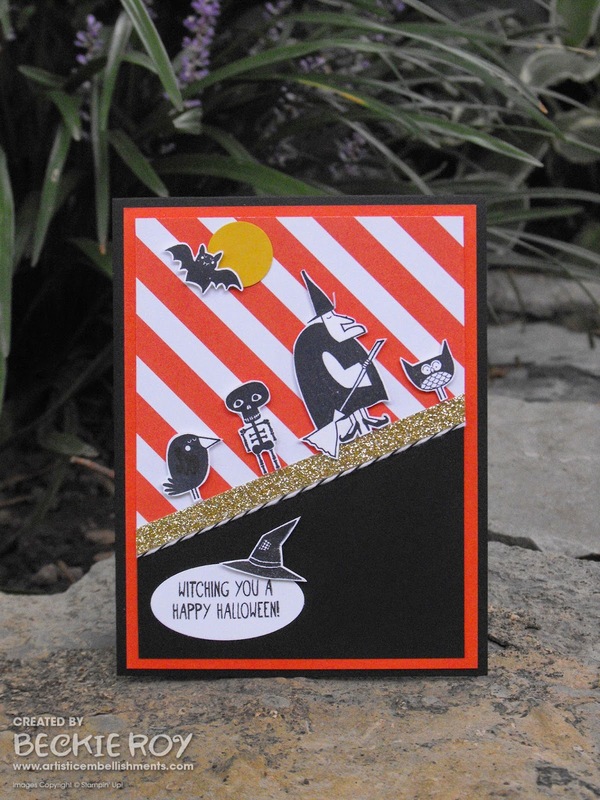 I stamped the witch, bird, skeleton, owl and bat - I fussy cut them all out. I cut a piece of Basic Black on a diagonal (I really like the diagonal look lately!) and covered up the bottom of my designer series paper layer - then added a 1/4" strip of Gold Glimmer paper in the middle where the two pieces connect... to finish it off nicely. I stamped the sentiment from Tee-hee-hee! and the witches hat, which I also fussy cut out. I added my 'freaky' friends in a line as though they are trick-or-treating and finished with a 3/4" circle of Hello Honey for my moon, which I added the bat flying over and the sentiment I topped with the witches hat! I hope you like my share, have a super day! !